In May 2004, a video broadcast on the Internet struck the world’s public opinion with horror. This lowresolution video was screening Nicholas Berg, a US citizen and technician abducted in Iraq, and five armed men covering their faces with masks. Five men seen behind Berg who was brought down to his knees swooped down on him, and after one of them read a declaration, Berg was beheaded with a knife. 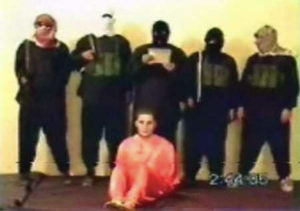 In the video, those who killed Berg said they do it for the honor of the men and women in the Abu Ghraib prison. It was claimed that the person who performed the execution was Abu Musab Zarqawi, who laid the foundation of the organization known today as the Islamic State. One of the most striking points in this video has been that Berg was in orange clothing. It was a costume reminiscent of orange jumpsuits worn by the Guantanamo Bay prisoners in the USA. 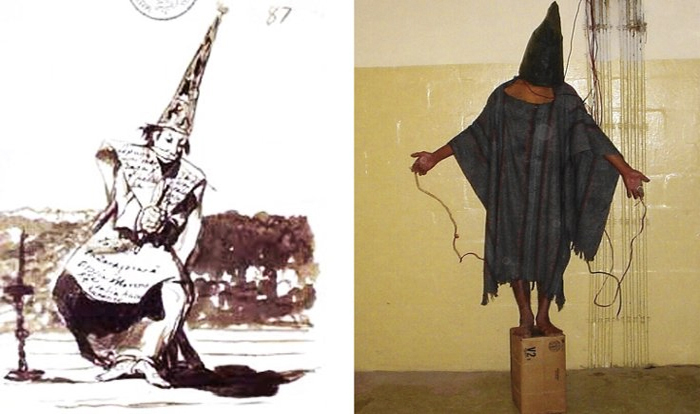 Moreover, these costumes could be seen in the photographs leaked to the public that they were the ones put also on prisoners in Abu Ghraib, which the executioners mentioned in the video. But this video was only the beginning. The organization have used these orange jumpsuits on hundreds of people they executed before the cameras ever since. It was not the first time we encountered such a video. Daniel Pearl, the US citizen and journalist abducted in Pakistan, was being killed in another video published in February 2002. In this execution video there also mentioned Guantanamo, with demand of the release of militants detained there. In fact, using uniform clothing on prisoners has a much longer history than Guantanamo that has been entreated in all these videos. Practices such as teasing about prisoners by having them wear “ridiculous” costumes, tormenting prisoners in the presence of public and transforming violence into a theatrical instrument, “ridiculing” the prisoners by the deterioration of body integrity, abstracting them from self-esteem with the deprivation of individual clothes, turning them into “soldiers following orders” by having them wear uniform clothing (expressed by Foucault as the “political anatomy” of the body (1)) have become methods often employed by the mechanics of power. By the 20th century, many countries have declared the use of most of these methods illegal. However, as in the Abu Ghraib, they continued and rather continue with the “uncontrolled” practices by prison officers. As for the practice of uniform clothing method, it has institutionally continued and become a norm in some countries. For instance, jumpsuits produced in various colors with a unified shade have been in use for some time now while black-striped uniforms on a yellow or white background, as can be remembered from the Dalton Brothers, were the generally preferred costumes in the US prisons throughout the 20th Century. Even though some other colors and shades such as blue and white are also being used as prison uniforms, the most well known types are the ones in orange -in relation to Guantanamo resonating on the world agenda with tort claims. These costumes with high saturation are intended for purposes of preventing prisoners from easily hiding in case of an escape and setting up a clear distinction from civil or uniformed officers in case of chaos. Very similar to those conditions precedent though, it should not be forgotten that such dominant colors serve -with an alternate green-box logic- also for purposes of abstracting prisoners completely from the nature and “normal” citizens, transforming them into “an obedient body” by taking their individual materials away and eliminating their self-perception. By the years 2014-2015, the organization reached the summit of their power, and their videos of cruelty where they have people wear orange jumpsuits and execute with “creative” methods turned to become ordinary matters on the world agenda. Thousands of people were watched being killed in these jumpsuits in hundreds of execution videos the organization published. One of the people executed in such a manner was James Foley, a US citizen and a journalist abducted in 2014. In the video screening the beheading of James Foley with a knife, he was in orange clothing. Upon this execution in Raqqah, I began to think about orange jumpsuits and produced a work named From Guantanamo to Ar-Raqqah. 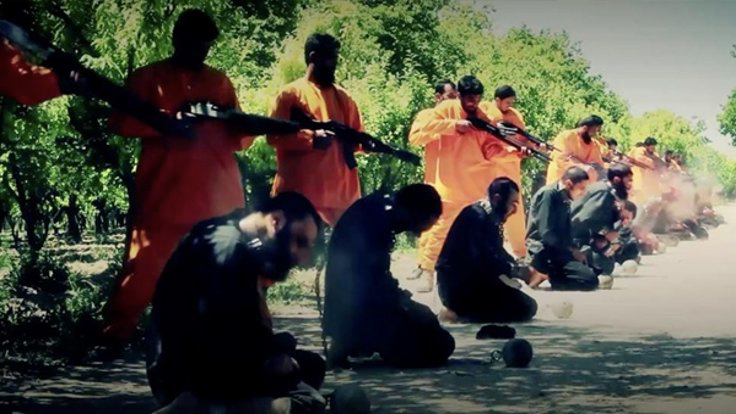 The Islamic State were having their prisoners wear orange jumpsuits just as the USA did. But between these two oranges, there was a very noticeable shade difference. 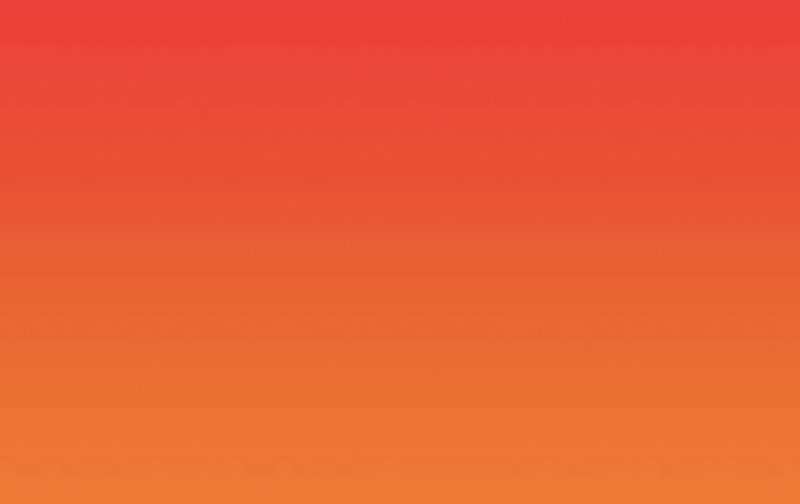 I applied the color transition I created by integrating two shades of orange, one picked up with eyedropper in Photoshop from an orange jumpsuit appearing in a photo taken in Guantanamo and the other from Foley’s garment appearing in his execution video, all through the surface of the wall in the exhibition space. The fact I found worthy to submit when doing this work has been that these two structures’ both discourse (“it is either us or them, fight the enemy to the bitter end” etc.) and methods (like indiscriminate slaughter of civilians, the transformation of violence into a theatrical instrument, the destruction of residential areas) were qualitatively similar to each other. Likewise, it seemed ironic to me that IS tend to build their own discourse by the methods of the USA, the Great Other, which they see as the root of all the evils in the world and claim to destroy terminally. Weather one of these colors or completely a different shade will be used turns to become clear in the process. It is not for the first time that Turkey embraces the idea of establishing a dress code for prisoners. There had been a proposal on the agenda to devise a dress code after the September 12 coup, but detained and convicted revolutionists back then mounted stiff resistance to the proposal and it dropped off the agenda. As a matter of fact, it is also not the first time that Turkey embraces the idea of these orange jumpsuits. 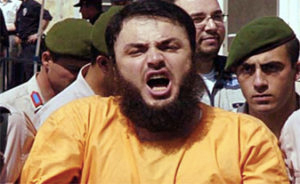 Louai Sakka, who was arrested for being a party to the attacks carried out with bomb-laden vehicles in 2003 in Istanbul, and known to be the only person to have a face-to-face meeting with Osama Bin Laden in the Turkish Al-Qaeda structure, ripped his clothes off while being brought to the court, and the orange clothes he had under were disclosed in 2006. Sakka, who accounted his protest for the sake of the practice of uniform clothing in Guantanamo, was not allowed to appear in the courtroom. After 11 years from Sakka, it seems that the courtrooms will be “colored” with new jumpsuits, and this battle of oranges will continue by involving Turkey as well.